Madeleine McCann disappeared on the evening of Thursday, 3 May 2007. She was on holiday with her parents and twin siblings in the Algarve region of Portugal. 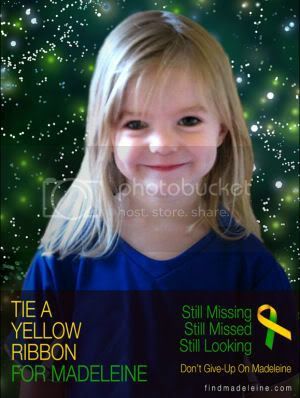 Madeleine went missing from an apartment, in the central area of the resort of Praia da Luz, a few days before her fourth birthday, and has still not been found.